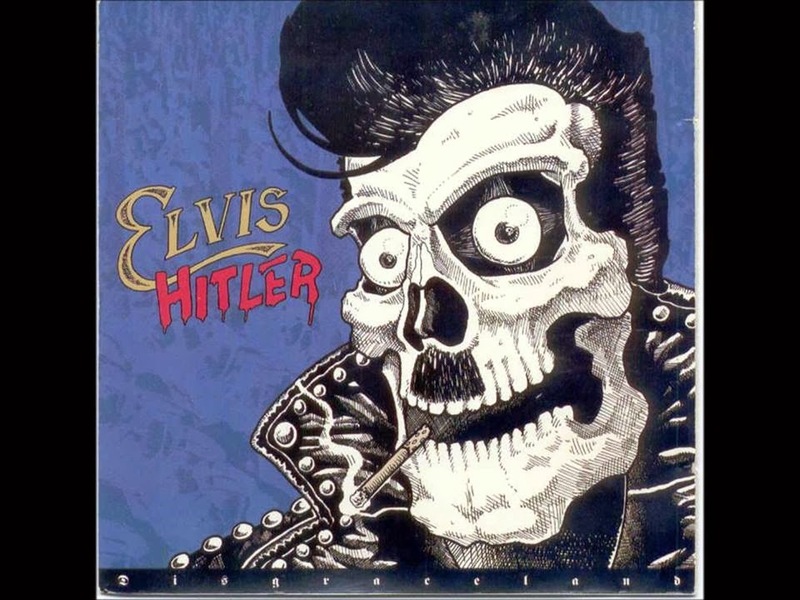 Hip In Detroit: Win Tickets to See Elvis Hitler at Small's! This Friday at Small's you have the chance to see a Detroit Legend, Elvis Hitler. Yes, it's true, Elvis Hitler is hitting the stage again. The witty rockabilly band hasn't played a show in about 10 years now, so after this show who knows when you will get the chance to see them again. The first time Sadie and I ever heard of Elvis Hitler is when they reunited about 15 years ago and our buddy Jeff Supina filled in on drums with his dad on guitar. Coincidentally, this was the first time we ever went to Lily's 21, thanks to Pasadena. I guess you can say we attribute that night to a lot of the reason we are who we are today. So if you check them out Friday night, it will probably change your life too. Or, at least you'll have a hell of a good time! Elvis Hitler will be hitting the stage with the amazing Nick Ciolino and The Volcanos. Tickets can be purchased for $8 in advance here or it's $10 at the door. All ages are welcome and doors open at 8 p.m. We are excited to give you the chance to get in to this show free though! Thanks to our pals at Small's, we are giving away two pairs of tickets to this show! To enter to win, just email us at hipindetroit@gmail.com with Elvis Hitler in the subject and your name in the body. We will draw our 2 lucky winners on Friday morning! Good luck!! !